The room was great. But there was no microwave in the room that would have been nice. Where to find Parry Sound hotels near an airport? Where can I find hotels in Parry Sound that are near tourist attractions? For tourists visiting Northern Ontario and are looking for an Expedia-listed room in Parry Sound, there are a few alternatives. Within easy driving distance of the city center, there are 7 Expedia-listed apartments and hotels. 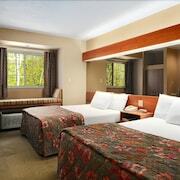 A great choice if you are looking to stay close to the downtown of Parry Sound is the Travellers Hotel. The Rocky Crest Golf Resort is situated 25 kilometres (16 miles) from downtown Parry Sound. 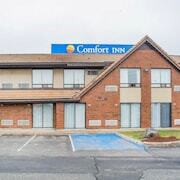 Or, alternatively, the Quality Inn & Conference Centre is situated 9 kilometres (6 miles) away. 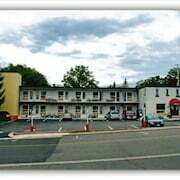 You could also check out the rates and amenities at the H & H Restaurant and Resort or the Grand Tappattoo Resort. Once you have really explored Parry Sound, why not tour a bit further afield? The Northern Ontario region has plenty of things to offer visitors. Investigate Northern Ontario's old towns, art museums and history museums. Lovers of the great outdoors should also make the time to enjoy its forests and rivers. Visitors in this section of Canada can enjoy snowboarding and skiing. 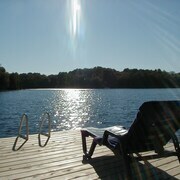 There are various Expedia-listed accommodations in Otter Lake, located 9 kilometres (6 miles) to the southeast of Parry Sound. 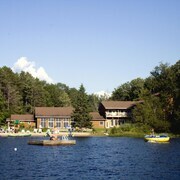 Options here include the Sunny Point Resort Inn and Sunny Point Resort Cottages and Inn. Get your sporting fix with a visit to Collingwood Eddie Bush Memorial Arena, which is 95 kilometres (59 miles) to the south of Parry Sound. Sports fans wishing to find accommodation near to the sporting action can choose from the Living Water Resort and the Comfort Inn & Suites. Located 120 kilometres (75 miles) from Parry Sound is Jack Garland Airport. 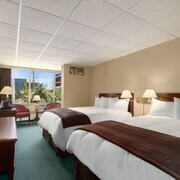 Stay nearby at Hampton Inn by Hilton North Bay or Comfort Inn Airport. 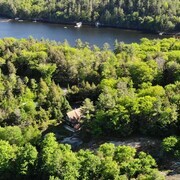 What are the most popular Parry Sound hotels? Are there hotels in other cities near Parry Sound? 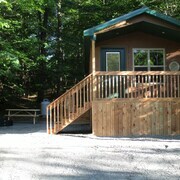 What other types of accommodations are available in Parry Sound? Explore Parry Sound with Expedia.ca’s Travel Guides to find the best flights, cars, holiday packages and more!